In the fall of 1987, Vietnam veterans met to discuss their personal concerns about the POW/MIAs from the Vietnam War. Having honorably served their country and having taken an oath to "support and defend the Constitution of the United States against all enemies..." and to "bear true faith and allegiance to same," they were deeply troubled by the abhorrent neglect of attention given to those who did not make it out with their lives or their freedom. These veterans discussed the more than 10,000 reported sightings of live Americans living in dismal captivity. Intelligence reports of these sightings were generally ignored by the government and mainstream press. The Founders of Rolling Thunder were ordinary men who understood that they had a right to have their voices heard and proceeded to lay down the plans for a gathering in Washington, D.C. during the 1988 Memorial Day weekend. They reached out to their families, fellow veterans and veteran's advocates to unify and form a march and demonstration in the nation’s Capital. Their arrival would be announced by the roar of their motorcycles, a sound not unlike the 1965 bombing campaign against North Vietnam dubbed Operation Rolling Thunder. Hence, they would call themselves "Rolling Thunder" a title that would endure time and be trademarked in 1990. Word spread quickly and by Memorial Day weekend in 1988, approximately 2,500 motorcycles from all over the country converged on Washington, D.C. to demand from our leaders a full accounting of all POW/MIAs. As the Founders of Rolling Thunder made their stand that day in front of the Capitol, they reflected thankfully for the people who came in support of the POW/ MIAs and for the unity that was felt. This was Rolling Thunder's first demonstration. Only until ALL POW/MIAs ARE ACCOUNTED FOR, it will not be their last. On that day, the foundation was laid for the annual "Ride for Freedom" to the Vietnam Veteran's Memorial Wall (also referred to as the "Ride to the Wall"). The number of participants/spectators in the Memorial Day weekend Ride for Freedom has grown from 2,500 to an estimated 900,000. In 2007, Rolling Thunder Charities, Inc. was established as a 501(c)(3) tax exempt, non-profit organization which enables individuals and corporations to receive a tax deduction for funds donated to Rolling Thunder Charities. These funds are used for veterans, active military and their families in need of help. 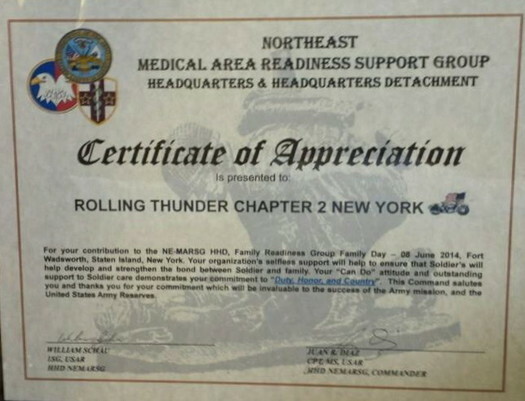 No officers of Rolling Thunder Charities, Inc. receive compensation; we all donate our time. · Rolling Thunder Charities, Inc. spends hundreds of thousands of dollars each year in financial aid, food, clothing and other essentials to veterans, homeless veterans and veterans' families in need, women's crisis centers and toys for children. · In 2005, Rolling Thunder, Inc. united with the National Alliance of POW/MIA Families to petition the U.S. Government to use the designation “Prisoner of War/Missing in Action” (POW/MIA) – a designation recognized by the Geneva Conventions - not “Missing/Captured”. This will ensure that prisoners’ rights and protections remain consistent under the Geneva Conventions. · Expenditures exceed over half a million dollars a year, nationwide, to educate the public and increase awareness about the POW/MIA issue and other injustices suffered by veterans. The organization regularly donates POW/MIA flags to local area schools, youth groups, non-profit organizations, special interest groups and organizes flag raising ceremonies. Veterans speak to youth groups about the honor of serving their country and educating them about the POW/MIA issue. 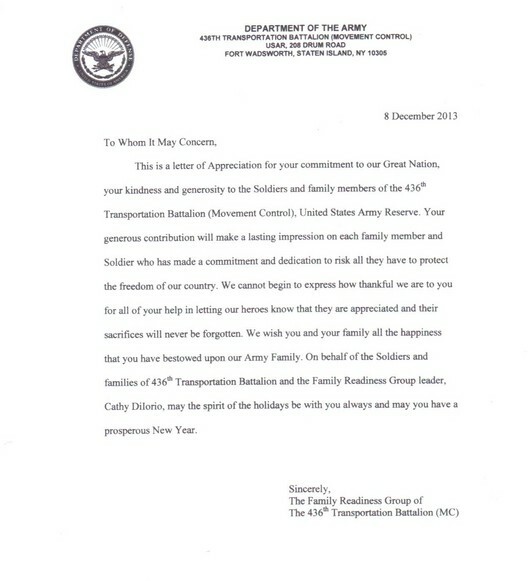 · Rolling Thunder, Inc. sponsors search missions into Southeast Asia for POW/MIAs and the remains of those killed in action. 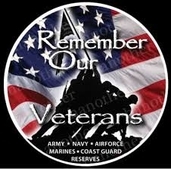 · Thousands of hours are logged in by Rolling Thunder, Inc. members at local VA hospitals nationwide. Members visit and provide moral support to nursing home veterans and patients suffering from Post Traumatic Stress Disorder (PTSD). · Rolling Thunder, Inc. helped facilitate the publishing of a POW/MIA U.S. postage stamp through the U.S. Postal Service that displayed dog tags with the declaration - "POW & MIA - NEVER FORGOTTEN"
· Rolling Thunder, Inc. National is on the Board of Directors of the Ride to the Wall Foundation, a veterans' fund established through the sales of the musical CD, "Ride to the Wall" produced for Rolling Thunder XIV by Paul Revere & the Raiders in cooperation with Rolling Thunder, Inc.
· Rolling Thunder, Inc. participated in the dedication of the World War II Memorial in 2004 and assisted with organizing the World War II parade that took place on that historic date. Since 2007 we continue to lobby Congress to establish a Select Committee on POW/MIA Affairs. The Committee would conduct a full investigation of all unresolved matters relating to any United States POW/MIAs unaccounted for from the Iraqi War, Afghanistan, Gulf War, Vietnam War, the Korean War, Cold War and WWII. Rolling Thunder, Inc. expressed support for the designation and goals of “Hire a Veteran Week” and encouraged the President to issue a proclamation supporting these goals. Passed the House under suspension of the rules by unanimous voice vote on July 24, 2006. On July 25, 2006 the bill was received by the Senate and the Senate concurred. Legislation to prohibit certain demonstrations at cemeteries under the control of the National Cemetery Administration at Arlington National Cemetery and for other purposes. On May 24, 2006 it passed the Senate with an amendment by Unanimous Consent. The House agreed to suspend the rules and agreed to the Senate amendment by voice vote on that same day. On May 29, 2006 the bill was signed by the President. Legislation to amend title 38, United Stated Code, to provide adaptive housing assistance to disabled veterans residing temporarily in housing owned by the family member and to make direct housing loans to Native American veterans; make modifications to the Advisory Committee on Veterans Employment and Training within the Department of Labor; provide Life and Health Insurance coverage to certain veterans and their family members; and for other purposes. Sec. 502 Department of Veterans Affairs goals for participation by small businesses owned and controlled by Veterans in procurement contracts. Expressing the sense of the House of Representatives that Members of the House should actively engage with employers and the American public, to encourage the hiring of members and former members of the Armed Forces who were wounded in service and facing transition to civilian life. Legislation to amend title 38, United States Code, to require that nine percent of procurement contracts entered into by the Department of Veterans Affairs be awarded to small business concerns owned by veterans, and for other purposes. Passed House on July 24, 2006 by unanimous voice. First introduced by Senator Ben Nighthorse Campbell (R-Colorado) in August 2, 2001, the legislation amends the Bring Them Home Alive Act of 2000 which was signed into law in November of 2001. That law provides for the granting of refugee status in the United States to nationals of certain foreign countries in which American Vietnam POW/MIAs or American Korean War POW/MIAs may be present, if those nationals assist in returning POW/MIAs alive. The new law extends the granting of refugee status in the United States to nationals of Iraq or the greater Middle East region. It provides for the International Broadcasting Bureau, which includes the Voice of America, to broadcast information about the law in the Middle East. The necessity of this legislation is demonstrated by the case of Jessica Lynch and six other POWs returned alive. SSgt. Matt Maupin (Army) captured 4/9/04, remains found, identified and returned 3/30/08, as well as Pfc. Byron W. Fouty (Army) and Sgt. Alex R. Jimenez (Army), both captured 5/12/07 remains found, identified and returned 07/10/08. This bill was signed into legislation by President George W. Bush in part due to Rolling Thunder’s lobbying efforts. The main force behind this bill was Senator Campbell and Congressman Dan Burton. Rolling Thunder, Inc. was highly instrumental in passing legislation to ensure that the POW/MIA flag will fly below the American Flag any day the American flag is flown in Washington, D.C. at the Vietnam Veterans Memorial, the Korean Memorial and the WWII Memorial. Rolling Thunder, Inc. was highly instrumental in passing legislation requiring that Federal buildings, all Post Offices, the Vietnam and Korean Memorials in Washington, D.C. and military facilities fly the POW/MIA flag on all six National holidays. Senator Campbell sponsored and co-authored with Rolling Thunder, Inc. the Bring Them Home Alive Act of 2000. The Act provides for the granting of refugee status in the United States to nationals of certain foreign countries in which American Vietnam War POW/MIAs or American Korean War POW/MIAs may be present, if those nationals assist in returning POW/MIAs alive. Since the mid-1980's, Rolling Thunder, Inc. has worked tirelessly on this bill that would guarantee missing servicemen or women could not be arbitrarily "killed on paper" by the U.S. government without credible proof of death. The bill was originally sponsored by Senator Campbell in 1993. 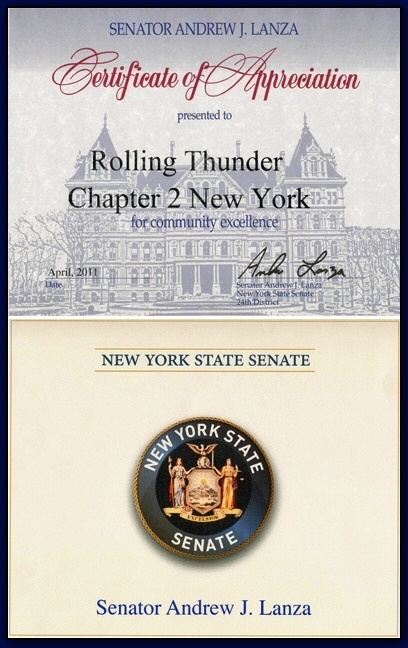 Rolling Thunder's efforts helped facilitate passing of a majority of the resolutions and efforts continue to restore the law as it was originally written. Rolling Thunder, Inc.'s major function is to publicize the POW-MIA issue. To educate the public of the fact that many American prisoners of war were left behind after all past wars. To help correct the past and to protect the future veterans from being left behind should they become Prisoners Of War/Missing In Action. We are committed to helping American veterans from all wars. Rolling Thunder, Inc. is a non-profit organization and everyone donates his or her time because they believe in the POW/MIA issue.